The SGT Bracelet System could quite possibly be the best idea I’ve ever had. Well, at least when it comes to large group program design. 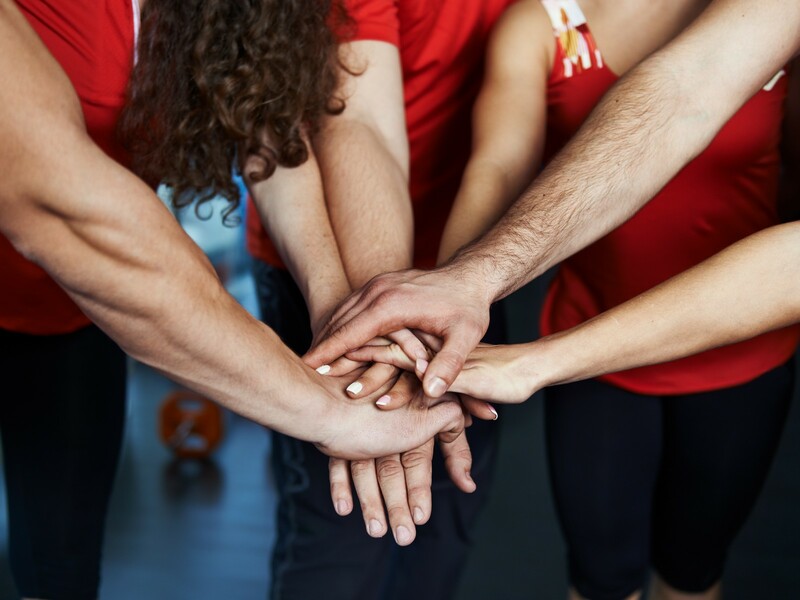 The bracelet system is something that Dan John said “has figured out the problem with group training”, and something that has helped hundreds of trainers across the world organize and enhance their group training. So what is the SGT Bracelet System? 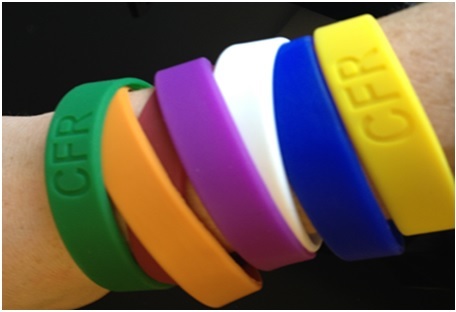 Simply put, it’s a way to quickly identify your clients limitations by looking a their wrists. Let me explain. The foundation of the bracelet system is a movement screen and red lighting system. Basically, once you perform a movement screen and find dysfunction in certain movements you want to make sure your clients aren’t doing exercises that will cause further dysfunction and more harm than good. We use the Functional Movement Screen because the movements directly relate to every movement that you could use in your exercise selection, and the system is just amazing overall. So once you have you screen, you need to know what your clients shouldn’t do in their workouts. I have written more extensively on red lighting in earlier articles. You can check out an example of one of those articles below. Here is a quick guideline of what we red light based on the FMS. Lunge, ensure proper form on 90/90 split squats (may need assistance) or pain? So screen your clients and if they have a 1 on any of the FMS movements, red light the corresponding exercises. It’s that simple. 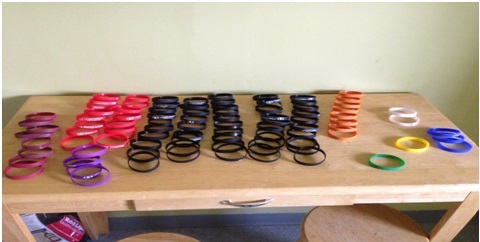 When we first started the screening and red lighting clients in the beginning we weren’t using bracelets. It became very apparent with 200+ large group training clients in my business that we weren’t going to remember their red lights, and neither was the client. We had posters on the wall that showed them the red lights, and we had a poster that showed them correctives for the red lights, but how where they going to remember which 1’s they had on the screen? I knew I needed a solution for this problem and fast, so I went into the conference room at my studio and told myself I wasn’t coming out until I figured out a way to solve this issue. I though about having them carry their screen sheet with them during the workout…..fail. I thought about posting screen sheets on the wall……fail. I thought of about ten other ways that would be logistical nightmares in that room before the bracelet system finally came to me. After racking my brain for a few hours it came to me, color coding!! If we color coded each movement on the screen, we could have a bracelet that matches that color. Then all that the client has to know is which color bracelets to wear and we can quickly just look at their wrist to see which red lights they have. I wasn’t sure if it would work, but I was willing to try it, so I ordered a few hundred bracelets immediately. To say the least, the bracelet system has worked AMAZING! All of our clients understand the system, and know that they are cleared to train the clean patterns hard, but the exercises that are color coded to match their bracelets are times where they do corrective exercises instead of strength exercises. Each person does their specific corrective for their weakest link in on the FMS Heirarchy in the warmup. We go over these exercises with them in the screening process. From there, when we are explaining the workout for that day we give an example of a red light exercise for people that have bracelets and one or two green light exercises for the people that don’t’ have bracelets. From there would quickly demo each exercise and move on to the next station. If we see a white bracelet pressing anyway, we would know, and stop them. Q – So what happens if someone doesn’t have any 1’s? A- Awesome! We give them a black bracelet which shows they are a ninja, and have them do Turkish get ups in the warmup when everyone is doing correctives. Q- Do you give them bracelets or do you keep them at the gym? A- Both. We give them a set that they can take or keep in their file folder in the studio. If they forget their bracelets we have loaners that they can borrow. We clean the loaners after each use with dish soap and water, and then use a sanitizer. Q- Where do I get bracelets? A- While I wish I owned a bracelet company at this point, I don’t, but we get our bracelets from www.wrist-band.com If you find a better company let me know. 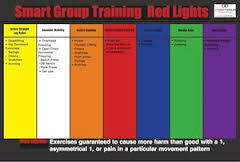 Screening and red lighting is the future of group training, and having tight systems is the only way that you can have quality large group training. 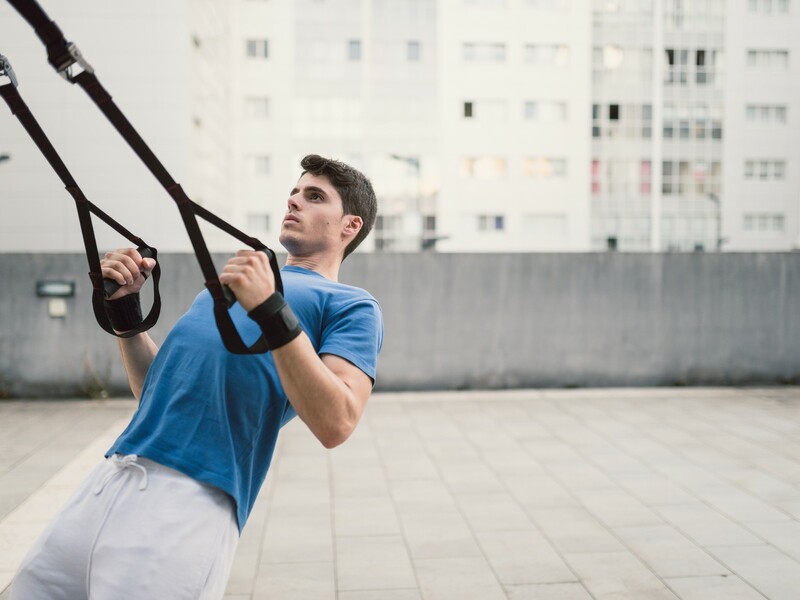 The bracelet system is a great way to tighten up your system by making sure your clients aren’t doing exercises progressions that will cause them more harm than good. Doing progressions in patterns that they have dysfunction will slow their results and even lead to injury. 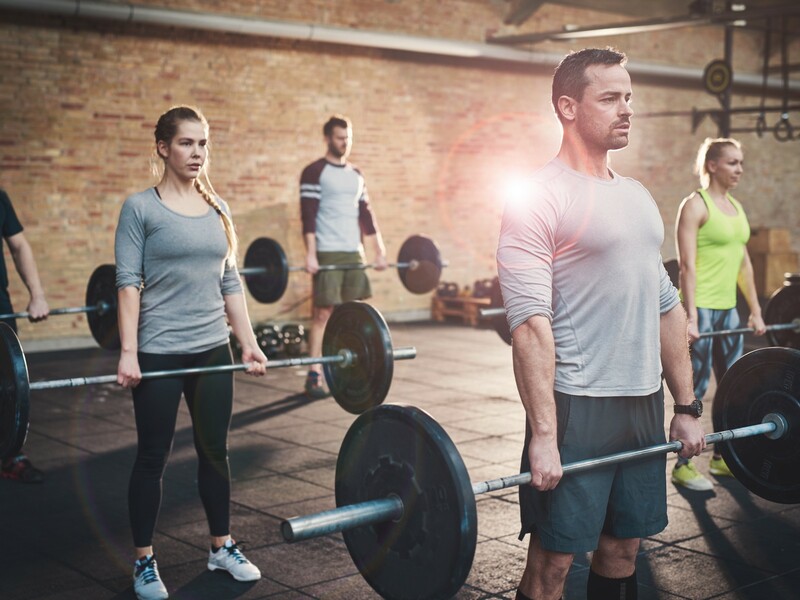 Besides individual workout cards for every large group training client, the bracelet system is the only way that I can think of that can make this happen, especially in a way that makes it seamless and easy. Anything more is semi private, and anything less is bad training. What do you think about the bracelet system? 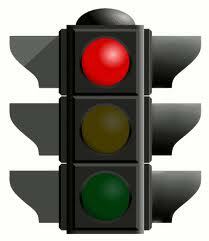 What are you doing to red light movement patterns? Let us know in the comments section, and if you liked this article please hit the like button below. Hope this article can help make your large group training program better, and easier for you to run.